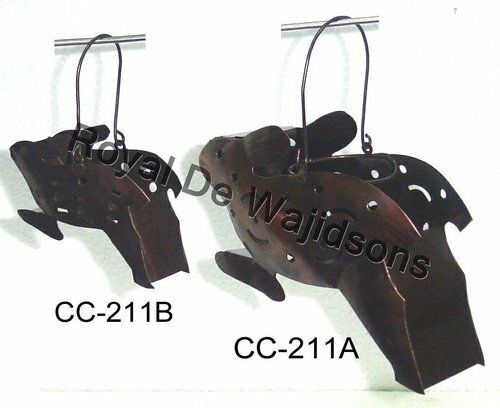 Our range of products include bird hanging t-lite, bird t-lite hanging, copper degh handi and copper hanging t-lite. 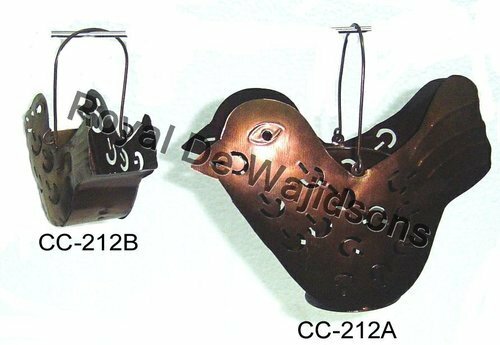 Bird Hanging T-Lite offered is an excellent and antique garden décor item available in beautiful and attractive designs and patterns. These products are utilized for the birds who visit the garden, porch or allied areas often. The T-Lite is designed and developed using high grade material and sophisticated machines that are handled by our deft experts. The T-Lite is corrosion resistant with no maintenance required. The T-Lite is long lasting , durable and very light in weight. The T-Lite is manufactured as per national and international standards. The T-Lite is available at pocket friendly rates. Royal De Wajidsons offers Home Decor-Garden Accessories, AR RAYYAAN Shisha Hookah Flavours & Jurak, Corporate Gifts,Hotels & Restaurant Items, Candelabra, Wedding Centerpiece & Table Decor all for Indian and Overseas customers. 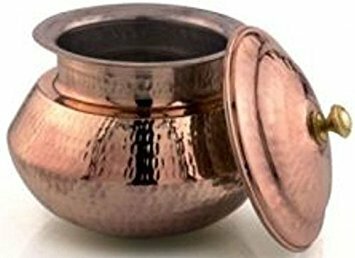 Looking for “Copper Garden Accessories”?